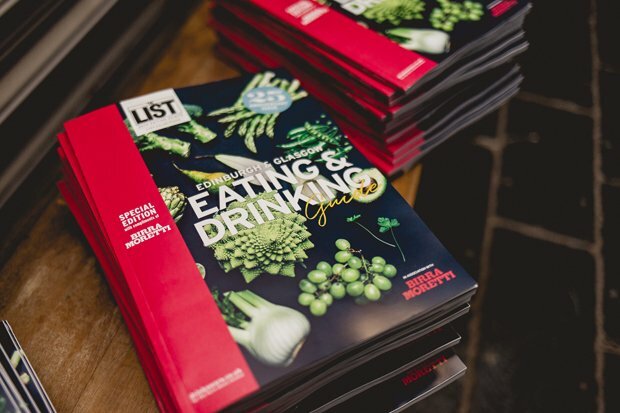 Here we chat to our very own Jo Laidlaw, The List's Edinburgh food & drink editor. I have a real weakness for Baileys at Christmas. Sweetdram's Smoked Spiced Rum makes an amazing Dark and Stormy and I'm hoping Santa brings me some Aelder Elixir this year (unlike last year when my husband misheard me and bought me a bottle of elderflower liqueur. Not the same thing). Christmas food can be daunting and for my money no-one's better than Delia for the step-by-step instructions you need to take the panic out of the day. But once you've mastered a basic Christmas lunch anything goes - fling some Ottolenghi in there! Diana Henry's A Bird in the Hand is a gorgeous book of chicken recipes with loads of ideas you could adapt for Christmas. And of course, Nigella. She tweeted me back last week. My life is complete. Don't boil anything. Seriously. Stir-fry the sprouts with pancetta and chestnuts, gently braise the red cabbage with nutmeg, cinnamon and cloves and a splash of apple juice, you get the picture. Boiling water is the enemy of flavour. Good food, good company, someone else does the clearing up – what's not to love? If you're nervous about eating Christmas meal out, then go for something non-traditional rather than trying to recreate your usual home-cooked meal. And remember to tip heartily and well: hard-working hospitality staff are giving up their day so you can have yours, so play nice! I have children. It's a battlefield. We have an anti-tradition: my family all have an enduring hatred of dried fruit, so collectively we shun the evil that is Christmas pudding and mince pies and just eat cheese. We basically eat cheese from the 24th to the 6th. And we don't care. My Boxing Day Leftover Mush. Basically bubble and squeak, with all the leftovers – stuffing, sausages, sprouts, bird. Topped off with a fried egg and brown sauce. Magic.